Took a little looksie on Netflix. 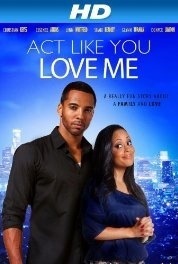 Stumbled across the B movie “Act Like You Love Me” and it is very much a B movie (a low budget film) but worth the watch if you have the glorious chance to be a complete bum like I did on Saturday. It’s been a while but finally had a chance to relax. Christian Keyes shirtless was a bonus.